1620 Woodfern Dr, Homewood, AL.| MLS# 836642 | Richard Jacks UABLIVING.com 205-910-2297 | Birmingham AL Real Estate | Contact us to request more information about our Homes for Sale in the Birmingham AL area. 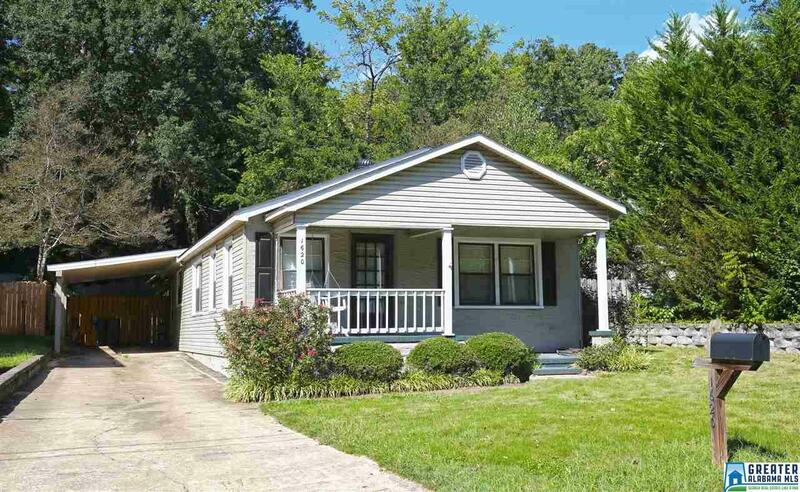 Adorable 2 Bedrooom, 2 Bath Cottage in Homewood. The open floor plan makes entertaining a cinch! Kitchen has quartz countertops and stainless appliances. Both bedrooms have attached baths. Enjoy the outdoors on the covered back patio or front porch. Carport constructed in 2013. Backyard storage building with electricity would make a great work shop. Roof 2011, HVAC 2009, gas water heater 2009. Walking distance to restaurants, shops and Homewood Park. Convenient to downtown, UAB and major roadways. WELCOME HOME!